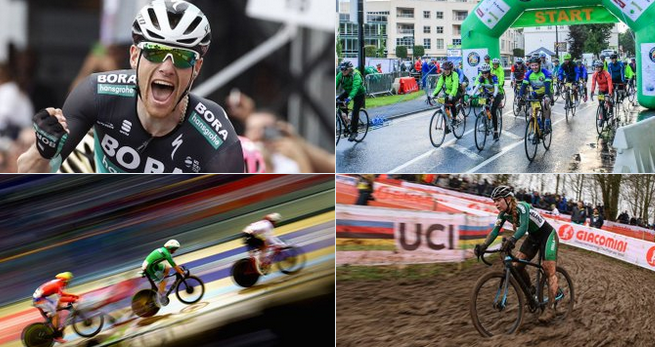 Cycling Ireland has seen numbers fall, key personnel depart and the Olympic process begin. It’s a time of flux and there was much discussion at its annual general meeting yesterday. With the Olympic cycle begun, the chief executive departing, the experienced public relations officer already gone and the membership in decline; Cycling Ireland is in a tricky moment at present. And at yesterday’s annual general meeting of the federation, a number of polices, ideas and concerns emerged. On the high performance front; Cycling Ireland technical director Brian Nugent set out what the aim is as Tokyo 2020 edges nearer. At the last two Olympics, Ireland qualified just one track place; Shannon McCurley in Rio 2016 and Martyn Irvine in London 2012. However, Nugent has said the federation is not only targeting to qualify a much bigger team for 2020; it was also aiming to win medals. Ireland wants to qualify for the men’s and women’s madison events; a total of four riders. And the women’s sprint is also a target. On the road, the aim is to qualify three for the men’s road race and one for the men’s time trial. A medal is targeted in both the men’s road race and the TT, with two top eight finishes targeted in the other events. On the Paralympic front, where the real success came in Rio via champions Katie George Dunlevy and Eve McCrystal; Ireland is aiming to qualify six to eight riders. Three medals are being targeted as well as eight top eight finishes across the various events. While there is currently a women’s team pursuit line-up training in Spain, Nugent said they were preparing for World Cup racing. They would be given every opportunity to qualify for Tokyo, but the real aim was to qualify the women’s pursuiters for the Paris 2024 Games. The women’s team pursuit line-up is not the focus for Japan in 2020, Nugent told the meeting. On the issue of sponsorship, the annual accounts showed just €9,000 was brought in under this heading in 2018. And while some announcements are coming in the weeks ahead, Cycling Ireland has acknowledged a weakness in this area. The meeting was told that a new public relations officer, to replace the departed Heather Boyle, could only be hired after a new chief executive was recruited; to replace Geoff Liffey. Following on from a story on stickybottle last week, it was confirmed to the meeting that the cyclocross high performance budget annually was €2,500. It was harder to secure monies for cyclocross from the funding agencies because it was not at Olympic sport, the 90 delegates present were told. Cycling Ireland membership has dropped by 10 per cent this year – and youth numbers are down by 16 per cent. The meeting was told 40,000 members was the target long-term, though numbers have declined to 26,300 over the past year. Developing a value for money offering was key going forward; to attract new members and retain existing ones. Of those riders who rode the Great Dublin Bike Ride, some 20 per cent were Cycling Ireland licence holders. But of the 5,500 people who rode it and were not members, just 153 Great Dublin Bike Ride entrants took out licences as a result of taking part in it. A review is being conducted into the selection criteria for high performance, with a plan being devised to properly communicate the criteria to members. That issue has arisen of late following the non-selection of junior and U23 road champions Adam Ward and Darnell Moore for the World Road Championships this year. There has also been some concern that those new to track racing and who have secured places on a talent transfer basis onto the national team had not ridden the national championships. It was agreed the track commission would now have a role in the selection criteria. The absence of some of those new to the Irish team from the championships was seen by some in track racing as denying other riders the chance to ride against them, and perhaps beat them, and so stake a claim to the national team themselves. In other areas, the renewal of Cycling Ireland licences is to be phased back into an annual occurrence, rather than year-round rolling renewals. There will also be more severe penalties, including disqualification from races, for public urination at events. BMX Ireland will have more championships for youth riders and a reduction in the minimum numbers required to qualify as a championship. Enduro underage championships are to be created, as is a Masters 60 category in cyclocross championships and Masters 40 team medals. A commitment was also given to try to facilitate an U23 category at the cyclocross championships. Among the personnel changes in official positions; Jack Watson MBE has been replaced by Míceál Concannon as secretary of the federation. Watson, who has served for decades, was described as Irish cycling’s salmon of knowledge. Michael Mannix has been reinstated as treasurer unopposed. Noel Mulroy is now a director, replacing Carl Fullerton on the board. There was also an ovation for Gaybo Howard; a legend of the sport who was tragically killed this year. Cycling Ireland will move from Kelly-Roche House on the North Circular Road to the National Sports Campus in west Dublin in coming weeks. However, the existing office building will undergo works and will be retained and rented for extra revenue in the years ahead. A first-year junior getting 90 points may go up to A2 and will go back to A3 with zero points for second-year junior. Second-year juniors getting 60 points will go up to A2. Juniors are still subject to the maximum distance of 140km. If a junior is A2 and a race is over 140km, they may ride the A3 race. An A3 rider with less than 10 points will carry 50 per cent of their points over to the following year. A2s will need 20 points to go up to A1, instead of 15 points under the present system. A1 riders with zero points will be graded as A2s with five points. These downgrades will be reviewed by the national grading officer because some A1s compete abroad and would not score points at home.